The compact footprint, containerised housing, and forklift slots make it easy and cost efficient to transport, whilst easy stacking ability further reduces use of deck space onsite. The internal access provides offshore personnel with safe operational and servicing capability. 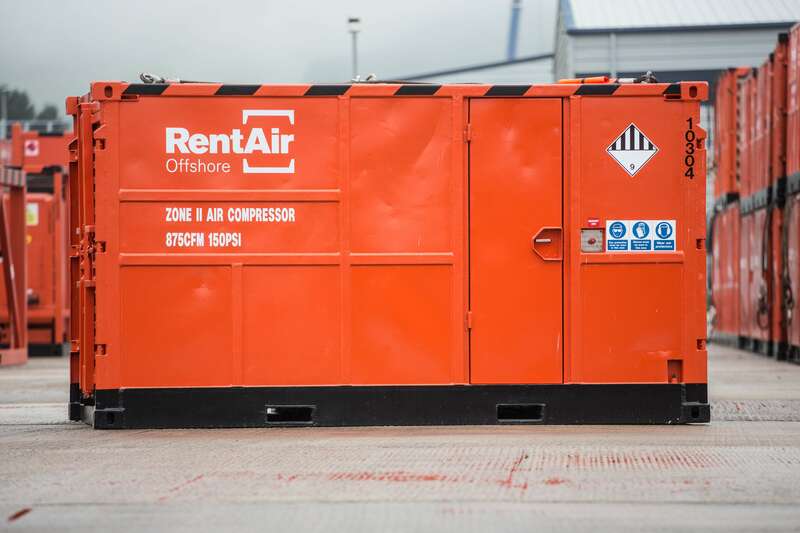 Rentair Offshore Zone II compressors range from 750cfm to 1050cfm all with 590 litre fuel tanks for up to 10 hours of operation at full load, resulting in maximised operational time. Customers benefit from latest Zone II technology, for operation in hazardous areas, heavy duty DNV 2.7-1 specification and reduced downtime with optional 24/7 support from Rentair Offshore Service Technician Team.